On the 28th (Sat), discover the deep blue sea with a scuba or snorkeling tour. To find other places to visit, traveler tips, maps, and other tourist information, use the Cairns trip itinerary builder . New York City, USA to Cairns is an approximately 23.5-hour combination of bus and flight. You can also fly; or do a combination of train and flight. Traveling from New York City to Cairns, you'll lose 15 hours due to the time zone difference. Plan for much warmer temperatures traveling from New York City in December, with highs in Cairns at 88°F and lows at 73°F. Cap off your sightseeing on the 28th (Sat) early enough to go by car to Port Douglas. On the 29th (Sun), see some colorful creatures with a scuba or snorkeling tour. Here are some ideas for day two: see exotic creatures in open habitats at a safari tour. You can drive from Cairns to Port Douglas in 1.5 hours. Alternatively, you can take a bus; or take a shuttle. In December, daytime highs in Port Douglas are 88°F, while nighttime lows are 73°F. Wrap up your sightseeing on the 30th (Mon) to allow time to travel to Sydney. 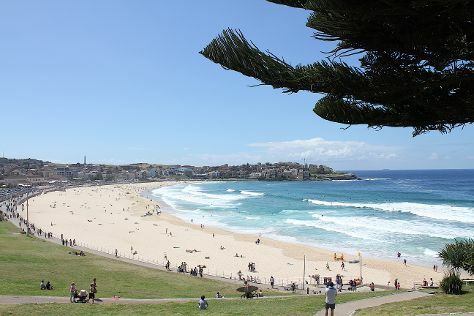 We've included these beaches for you: Manly Beach and Bondi Beach. Get outdoors at The Opera House to the Botanic Gardens Walk and Clovelly Beach. There's lots more to do: wander the streets of The Rocks, take in nature's colorful creations at Royal Botanic Garden Sydney, snap pictures at Sydney Harbour Bridge, and observe the fascinating underwater world at Sea Life Sydney Aquarium. For ratings, photos, other places to visit, and other tourist information, read Sydney online tour itinerary maker . Traveling by combination of shuttle and flight from Port Douglas to Sydney takes 7 hours. Alternatively, you can drive; or do a combination of bus and train. Expect little chillier temperatures when traveling from Port Douglas in December; daily highs in Sydney reach 81°F and lows reach 65°F. Cap off your sightseeing on the 2nd (Thu) early enough to travel to Christmas Island. The Territory of Christmas Island is an Australian external territory comprising the island of the same name. For reviews and more tourist information, go to the Christmas Island route planner. The Route module can help you plan travel from Sydney to Christmas Island. Due to the time zone difference, you'll gain 3 hours traveling from Sydney to Christmas Island. In January, daily temperatures in Christmas Island can reach 82°F, while at night they dip to 73°F. You'll set off for home on the 3rd (Fri).